Jarrow Formulas Theanine 200mg is a unique amino acid found almost exclusively in green tea with beneficial effects on brain metabolism. Theanine induces relaxation without causing drowsiness, as measured by increased generation of alpha-waves. Theanine may improve learning ability and sensations of pleasure by affecting dopamine and serotonin neurotransmitters in the brain. Also, Theanine has protective effects on the brain by antagonizing glutamate toxicity. 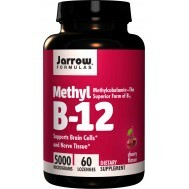 This way it also improves quality of sleep, mood, heightens mental acuity and reduces negative side-effects of caffeine. who can benefit from Theanine? 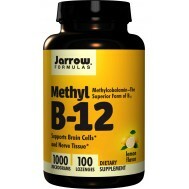 People with daily stress use this product largely to relaxo, or to improve sleep. 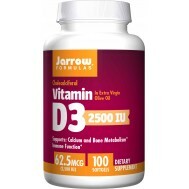 It can also be used to help improve focus, promote liver health or counteract stimulants. how does each active ingredient function in Theanine? • L-Theanine is a precursor for the production of neurotransmitters that serve health in numerous ways. 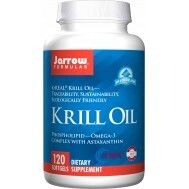 It is especially useful as a relaxant without drowsiness. Theanine is a rare amino acid (chemical name gamma-ethylamino-L-glutamic acid) and is found only in certain species of tea plants. It constitutes 1-2% of the dry weight of tea leaves and accounts for about 50% of the free amino acids present in the leaves. First discovered in 1949, L-theanine not only is an important health-giving constituent of tea, but also is the major flavor component of green tea. Curiously, despite its caffeine content, certain teas tends to relax people without making them drowsy. Those engaging in meditation may drink tea to dispel mental sluggishness without becoming agitated, as is typical with excess coffee consumption. L-Theanine appears to be the component in green tea responsible for these benefits. This is good news for the 65% of American adults who suffer from daily stress. The anti-stress effects of L-theanine have been documented repeatedly. In several trials, researchers examined brain wave patterns after theanine ingestion. Humans produce four specific patterns of electrical pulses, namely alpha, beta, delta and theta waves, which mirror brain states. The four patterns of brain activity represent relaxed wakefulness, excitation, sound sleep, and dozing sleep, respectively. In one experiment, 50 young female volunteers were divided into high-anxiety and low-anxiety groups. Each group was given 50-200 mg theanine in water once a week. Their brain waves were measured during the 60 minutes after ingestion. Measurements were repeated twice during a two-month test period. The results showed a marked increase in alpha waves starting roughly 40 minutes after ingestion. Researchers concluded that theanine rapidly enters the system when ingested, and heightens the brain wave linked to relaxed wakefulness. With regard to anxiety level in test subjects, those manifesting high anxiety showed a greater degree of brain wave change towards alpha. 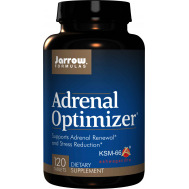 This calming effect also translated to a significant alleviation of PMS symptoms. Women taking 200 mg L-theanine daily were shown to have a lower incidence of physical, mental, and social symptoms. Animal studies were employed to determine if theanine exerts an impact upon memory and learning ability. In one memory experiment based upon learned avoidance, the theanine-treated animals were more successful than controls, and their advantage increased proportionally with the number of tests. In another test, which measured learning ability, theanine-treated animals out-performed controls, especially as the tests became more advanced. 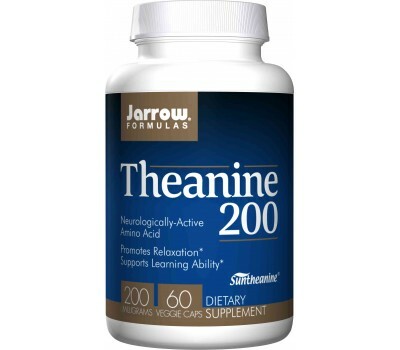 Theanine achieves its benefits in the areas of relaxation and learning by affecting brain neurotransmitters. As a building block for the inhibitory neurotransmitter Gamma Amino Butyric Acid (GABA), theanine influences the release of two other neurotransmitters, dopamine and serotonin. Dopamine has many functions in the brain involving motor functions and general arousal. Temporary elevation of dopamine levels often leads to improved mood, alertness, libido, verbal fluency and creativity. Serotonin, another “feel-good” brain signal, plays an important role in regulating mood, emotion, sleep and appetite. Serotonin is also involved in learning, memory and other cognitive processes. Deficiency is associated with low mood, lack of will power, and poor appetite control. Another animal trial with theanine looked at its effects upon liver health, using a known liver toxin, D-galactosamine. Theanine was shown to be active in preventing injury to the liver, whereas glutamine in equal amounts showed no protective effect. Studies using other models of liver injury also have demonstrated benefits. Recent research suggests that serotonin plays an important role in liver regeneration and acts as a mitogen (induces cell division) throughout the body. While reading just a single sentence, you will have experienced thousands of brain waves. These waves of electricity flow around our brains every second of the day, allowing neurons to communicate while we walk, talk, think and feel. Even though some might not admit it freely but just about everyone is taking part of the rat race. It might be your job or just the mere fact you try to keep yourself afloat by paying off your or loans, making sure you don't end up eating from soup kitchens or worse, 'sleeping with fishes' like Luca Brasi. Even 'keeping up with the Joneses' can be stressful. We live in interesting times where stress is accumulating in almost everyone's life due to the world-wide financial crisis wrecking havoc on both national and personal financial security. Even when that does not affect us, there will be stress due to time management problems while having to balance our private and professional life. Take 1 capsuleper day with water or juice on an empty stomach, or as directed by your qualified health care consultant.